When every child grows up as an avid creator, innovation and creativity will be their second nature. When at play, they will build rocket ships, castles and skyscrapers. When playing amongst friends they make-belief; one is a teacher, whilst the others are students. A simple cardboard box could be a house, a race car or even a helicopter. Their creativity is boundless, the question is – how do we harness these ideas and natural creativity of every child? Throughout the Prudential Young Trailblazers Competition, we sought to give these students a platform where their creativity can take center stage. But beyond that, we also desired to inspire confidence by giving them appropriate tools and mentorship, so that their innovative ideas can become a reality. What better way to spark off innovation than a competition where passionate students and business owners can come together to pair boundless creativity and business world practicality! Although students engage in a myriad of projects throughout their academic year, the Young Trailblazers competition takes them to the next level such that their ideas can have tangible business outcomes. 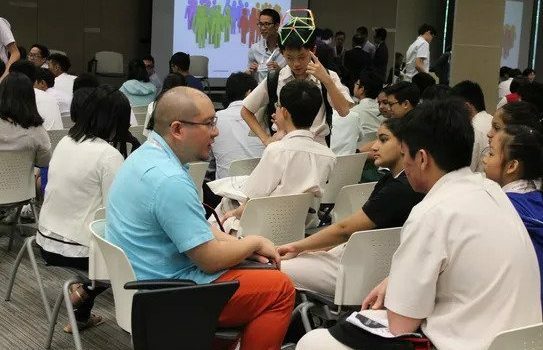 Thus, the competition matches teams with industry mentors, so they are able to work towards a realistic business ideas, prototype while receiving constructive feedback. Yet, as with every competition, it was not without its share of hardship and harsh deadlines. 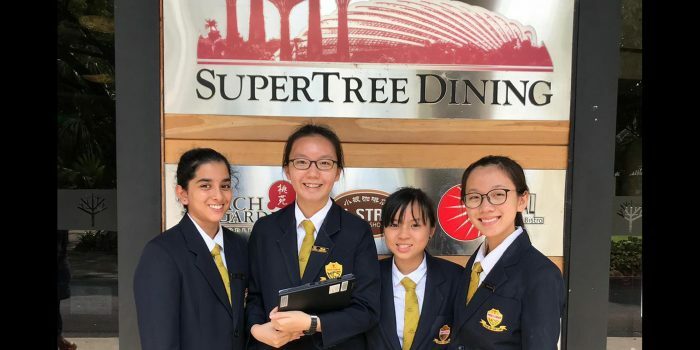 The competition organizers acknowledge the heavy workload and struggle that teams have to face with, such as juggling school and the competition deadlines. At the same time, they also recognize that these are important challenges that will help the participants to grow as individuals. Team discipline, time management, resilience and tenacity in the face of multiple challenges, are just some of the qualities repeatedly displayed by the participants throughout the competition. 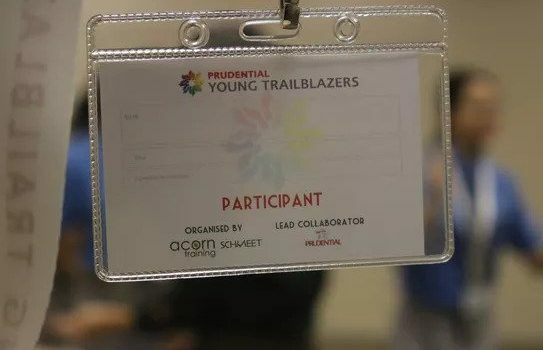 The Prudential Young Trailblazer competition is proud of all its participants who have taken on this challenge to blaze the trail of Innovation and take on the Entrepreneurial Dare. Like everyone who has followed this inaugural but exciting competition, we are just as excited to hear the pitch by the Finalists on July 7th. With these enthusiastic last words, we look forward to the Finals of the Prudential Young Trailblazers on July 7th. Arise: A Generation of Trailblazers! next post: Arise: A Generation of Trailblazers! If you have any questions regarding the competition, feel free to check out our FAQ page for more details. If you couldn't find the answers you were looking for, go ahead and fill out the "Contact Us" form on the right and we will get back to you shortly! Matthias is the Chief Innovation Officer of Fund Singapore, a company focused on funding local start-ups through Singapore-based crowdfunding initiatives. Among his many roles in Fund Singapore, Matthias is responsible to build an incubation centre for new technologies. Matthias specialises in providing technical leadership, consultancy and project management in security strategy, assessment, processes, implementations, and incident response. He serves as the trusted advisor to many CIO’s, CTO’s, CISO’s, Divisional Heads and Directors, Chief Architects, and other senior technology and business management staff. Fred is the Chief Thinker and Founder of Think Solutions. He has more than 20 years of start-up experience with both local and overseas organisations. He is a serial entrepreneur (8 start-ups and counting), entrepreneurship educator, EIR, mentor, business coach, neuromarketeer, author and program designer. 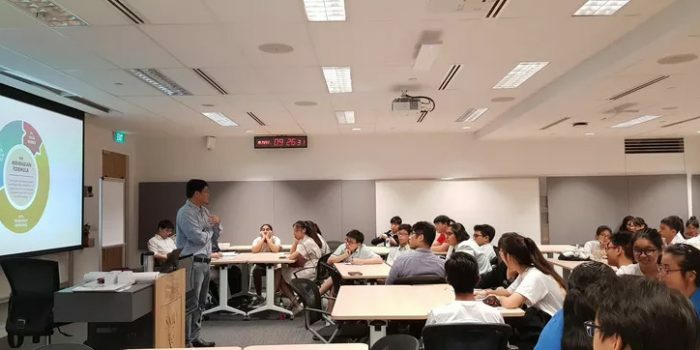 In Singapore, Fred has lectured and coached more than 2,000 individuals and start-up teams and helped them to dramatically improve their services and their bottom line, by changing the ways they approach and manage their customers and prospects. His intense coaching has helped entrepreneurs reduce their business failures by 90%. Fred is always in demand as a keynote speaker, trainer and mentor-in-resident with startup incubators in Singapore. Paul is the Head of Innovation of Prudential Assurance Company, a position he has held since early 2018. Previous, also with Prudential, Paul was the Head of Product. Before he joined Prudential in 2017, Paul has been a CEO, Managing Director and innovative digital entrepreneur with 18 years’ experience in strategic management, consulting, e-commerce in medium to large scale digital transformations within government, retail and insurance industries. An innovative entrepreneur who incorporates a creative background and business acumen from Involvement in many successful start-ups from inception to acquisition and exit. More recently Paul moved into financial services to bring extensive retail experience into the digital disruption currently occurring in the insurance and finance industry. Benjamin is the Co-founder, Partner and Chief Networking Architect for Crowdsourcing Week (CSW) that runs a series of educational programme in crowd economy such as Blockchain and crowdfunding in more than 20 global cities. Spanning over 40 years in business as well as in holding senior positions in the corporate world (many of which are public listed companies), Benjamin’s strength has been in identifying and developing new business opportunities and markets. Over the last 10 years, Benjamin has been active in the technology startup scene where he began with a digital media business. In giving back to the community, Benjamin serves as mentor for various startups from idea stage to go-to-market. Bernard is the VP of Business Development of Silicon Cloud International. A technology executive with a strong track record of building and mentoring business development teams for emerging technology domains, Bernard has an extensive experience engaging business and technical executives in roundtable-workshops. Known for establishing solid working partnerships with vendor ecosystem. He is currently working with technology start-ups in cloud computing, security and IoT. Bernard’s experiences and areas of expertise include Chief Technology Officer of CISCO Systems, Technical Author, Keynote Speaker, Lead Executive Workshops, Cloud Computing Architecture, Data Centre Infrastructure Consultant, Cyber Security expertise, Global Experience – Asia, Europe and US. Bernard is currently the Chairman of the Asian Cloud Computing Association.